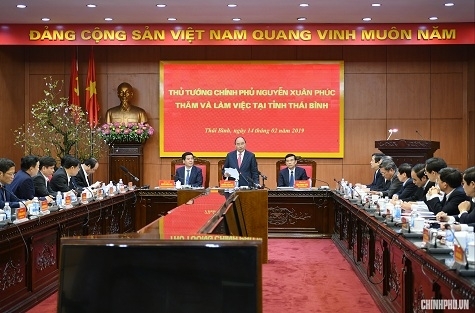 Prime Minister Nguyen Xuan Phuc has lauded the authorities and people of northern Thai Binh province for their determination to score comprehensive socio-economic achievements in recent years. During a working session with provincial authorities on February 14, the PM said almost all local socio-economic targets were fulfilled and surpassed last year, while an additional 167 communes also met the new rural development criteria. Only 25 percent of the local population now relies on agriculture, and they have many effective farming models to support them. Improving the local business climate has created a new driving force for the province’s economic growth. Progress was seen in State budget collection, culture, healthcare, education, and especially social welfare whereby those who rendered their services to the country were ensured. The leader asked the province to continue stepping up administrative reform, building the Party and political system, and facilitating the increase in the number of enterprises. In order to become a prosperous locality in the north, he suggested that local authorities stay united and pool public resources for the effort. 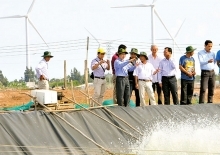 Thai Binh needs to develop with modern agriculture using advanced technologies, hasten economic and labour restructuring, call for investment in coastal economic and industrial zones in service of farming, enhance environmental inspections, and discourage the use of nylons and plastic wastes, he said. The province was also required to rearrange apparatus to prepare for Party congresses at all levels, towards the 13th National Party Congress. Thai Binh’s gross regional domestic product (GRDP) rose by 10.53% last year, higher than the target of 8.6%. Its average GRDP per capita topped VND38 million (US$1,600), or a 1.58-fold increase. The State budget collection neared VND8.5 trillion, up 15.7% from estimate. 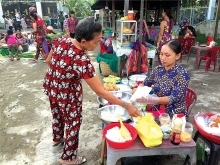 More domestic and foreign investors started doing business in the locality in 2018, while 237 communes and one out of seven districts met the national criteria for new rural development.